With its monitoring and analysis software, Cogia supports businesses and public authorities alike in their efforts to collect, analyze, and process relevant web data. Cogia is a leading solution provider that monitors internet and social media content. Since 2010, we’ve been offering sophisticated software for web analysis as well as a comprehensive editorial service. Product development and sales efforts are carried out in part together with organizations, such as the esteemed Frauenhofer Institute. Currently more than 100 business clients from the auto and finance industries as well as the public sector use our products. We are pleased to provide you with our pitch deck, which summarizes Cogia's business model and strategy and illustrates our company’s potential. As always, you can find all information on Cogia and our team in our company profile. Please click on the picture above to open the pitch deck of Cogia. The internet of today is a jungle of information. It is becoming more and more difficult to find relevant articles and comments amongst the vast amount of information. This is, however, a crucial aspect for companies, authorities and organizations if they want to present themselves in the best way possible online. What do customers say about certain products and brands? How do citizens view political projects? What topics are relevant online today? Cogia provides the necessary solutions and services in order to assess and evaluate information taken from news websites, communities, forums, consumer portals and blogs. As the amount of information increases, so has and will the market for these types of solutions and services. According to a Bitkom survey, 75 % of German companies use social media in order to communicate internally and externally. An important reason for this development is that companies are turning to social networks more and more for communication and marketing purposes. For a while now, companies have recognized the wide range of possibilities social media has to offer, for example when it comes to improving the image of a product or brand, or gaining access to a larger audience. Global costs for online advertising and marketing continue to increase which means that monitoring the relevant channels is becoming ever more important. This includes professionally monitoring your social media presence in order to guarantee optimal communication with clients. It happens often enough that companies have their own social media pages but fail to keep them updated after a couple of weeks, posting less and less. The result of this is a decline in communication, less fans and success, and the loss of interest and the chance of establishing a large fan base. In an attempt to assist companies in overcoming the challenges posed by communicating on social media platforms, our service range also provides editorial maintenance of a company's presence on social media. This means we look after your social media pages and update them on a regular basis, by posting regularly and interacting with your followers. Since Cogia was founded in 2010, the Frankfurter company has become one of the leading providers in the market of social media monitoring and web and text data analysis. This means we record, measure and monitor the content of social media platforms. Cogia keeps an eye on everything that is said about our clients and their competition, and generally analyses what is written about them on the internet. With this data, feedback can then be provided. Cogia takes care of the entire social media management and makes sure that Facebook, Google+, Twitter and Pinterest are being used to their full potential with regard to the company's appearance, marketing purposes and increasing revenue. Since 2015, Cogia has expanded its offer with MeMo News AG, an affiliate of the company. MeMo News also provides professional, real-time online and social media monitoring. This can then be combined with an individual analysis of the online media scene. To top off its product portfolio, Cogia is providing a simple and cost-effective solution for the entry market. In order to finance our future growth, we have opted for an equity-based crowdfunding campaign. With the help of the Companists, we intend to not only progress technologically by developing new analysis methods, but to also increase our company's visibility in the market and access new markets in particular in the Middle East and Asia. Cogia has developed an application for web and social media monitoring. In addition to website contents, it can also include print articles and audio/video streams in the analysis. This application transforms the time-consuming task of choosing and assessing information into an automated process. Therefore, we achieve structured research, assessment and processing of information. The main focus is on monitoring, i.e. watching web and social media sources, on the analysis of published contributions and on the visualization of the respective analysis results. Web Observer 3.0 combines search engine technology with processes from the field of "machine learning" in automated content analysis, both on a mathematical-statistical level as well as a linguistic level. The results of these analyses are presented in a graphical form. This enables a determination of customers' perceptions of certain topics, brands or products on the internet and identification of changes in opinions, changes in mood, and trends, as well as detection of sudden new attitudes and emotional orientation. On this basis, it is possible to develop targeted action and communication strategies in order to optimize customer satisfaction or better manage a marketing campaign. As an entry-level solution in the area web monitoring, Cogia has developed the application MeMo News. MeMo News is an intuitive online media monitoring application that collects and provides all relevant news, including social media mentions in real-time, and even sends them via email in the shape of automatically created reports/clippings (if required, numerous times per day). Cogia offers a special text mining module for market researchers and agencies that is primarily used in the areas surveys and customer satisfaction. Text mining means the automatic analysis of text documents in regard to desired topics, relevant key words or terminological relationships as well as tonality: are the comments negative, neutral or positive? With the help of this approach, Cogia supports its customers in the rapid and cheap analyses and preparation of data collected in surveys. This can be particularly helpful if working with open-ended questions, allowing participants to comment on individual points. Cogia web audit is a service that is tailored to businesses and provides them with the opportunity to illustrate the current situation of their company on a one-time basis. Foci of the analysis include, among other things, online perception of the company, their products and services, and if required also in comparison to the competition. With the help of our technologies, the existing data surrounding the questions are analyzed, assessed and then editorially processed. No matter whether a new advertising campaign is being planned or a new marketing strategy is being developed - every strategic or operative decision must be based on exact information about the position of the own business and the competition. Cogia provides a full-service social media management solution for medium-sized businesses. The package consists of three components: social media channel monitoring with the MeMo News monitoring tool, effective channel targeting with the Cogia engagement console and editorial management. Therefore, Cogia assumes, in agreement with the business, responsibility for all social media communication and fan community communication as well as for social media channel monitoring. This greatly simplifies product, brand and customer retention, increases of attention and popularity, image management, range increase, customer relationships and finally acquisition of new customers. With its range of products and services, Cogia helps businesses, associations and public offices as well as market researchers and agencies to continuously gather and assess empirical values on the opinions of customers and citizens. This allows for a rapid and proactive reaction to opportunities and threats identified in the company. It is crucial for the development of a new successful business and product strategy to have a full picture of not only the competition and the market but also of customer expectations as well as their perception of brands and products. Cogia also provides support in identifying relevant communication sources and opinion leaders or influential users (influencers) in order to include these in marketing measures. We also present trends and patters that can only be detected with big data analyses due to their complexity. We also identify "weak signals" or first indications that a trend or change in mood could develop into rapid changes to customer opinions. In addition, Cogia provides analyses specifically designed for security questions. The goal here is early identification of dangers and threats, both in regard to physical danger to individuals (due to terror attacks or kidnapping) as well as potential threats to IT security (due to security breaches/exploits, Trojans). Cogia and its Web Observer were named the best full-service provider in the renowned Goldbach study and are among the top 15 monitoring solutions in the world. From a customer perspective and thanks to its integrated research and analysis systems, Cogia provides insights that guarantee increased planning and operating security for marketing, customer service, product development and safety issues. Cogia develops and sells solutions and services in the areas web and social media monitoring as well as web analysis. Cogia sells user rights to their products "Web Observer" and "MeMo News". In the case of Web Observer, the customer buys a 12 month subscription. This includes one user, starts at 10,000 mentions and a starting price of EUR 500/month. For MeMo News, the license includes a certain number of agents (questions). The starter package comes with 8 agents and 2 users for a price of EUR 200/month (12 month subscription). Cogia offers various consultation services that are billed per working day. These services include, among others, web audits (analysis of the current situation), monthly and quarterly reports, creation of studies and taxonomies (i.e. internal and suitable classifications in regard to desired questions to structure collected data). Software revenues are based on a software as a service model (SaaS) in which customers pay to use the respective software without installing the systems on their own servers. In special cases, e.g. in security-sensitive areas, installation can also occur internally within the company. In these cases, the customer assumes responsibility for operations, purchases a multi-year software license for a one-time payment and concludes a software maintenance agreement, which is a further regular source of income for us. On demand, Cogia also provides software licenses for so-called white-label solutions, i.e. the customer uses our software without our brand. This means that customers can operate our software under their name, use it with their own end customers and create reports. Prices for software licenses are based on the number of searches or topics to be monitored, on the number of documents to be saved (size of index) and on the number of users. The unique selling points of Cogia compared to its competitors principally lie in two areas: in technological competence and in the combination of technical and editorial services. Cogia offers not only broad source coverage, which additionally covers TV/audio, print and internal data alongside the normal web and social media. More than 40 languages are also handled (including Arabic, Chinese, Japanese and Russian). In order to analyze the data, a wide range of text mining procedures are applied, which are partially developed within a strategic development partnership with Fraunhofer Institutes. The main focus here lies in the automatic categorization of documents (based on a classification), in the analysis of contextual relationships, in the automatic discovery of themes and in the analysis of emotional orientations. These include not only an analysis with regard to negative or positive moods, but also extends to the identification of emotions such as frustration, anger, joy or regret. On the other hand, the close integration of technical and editorial services allows Cogia to be able to comprehensively and holistically support its customers in every phase of a project. Tailor-made setup of the respective systems (Setup) and close supervision during the running period as well as selective requirements, such as the creation of reports, mean that this is always possible. Trademark rights have existed for the Cogia and MeMo News brands since 2010. There is also a US patent for the Cogia search algorithm (US Patent No. 6678694). Competitors experience barriers to market entry in the form of high development costs for the establishment of appropriate systems - costs that Cogia has already covered. In general, however, the market here is less influenced by the appearance of new players than by concentration and acquisition processes. Currently, about 20 players dominate the global market, including companies such as Brandwatch, Salesforce Radian6, Meltwater and Sysomos. We have three Fraunhofer Institutes as development and distribution partners: the Fraunhofer Institute for Open Communication Systems (FOKUS), the Fraunhofer Institute for Intelligent Analysis and Information Systems (IAIS) and the Fraunhofer Institute for Communication, Information Processing and Ergonomics (FKIE). In terms of market research, Cogia cooperates with the TTR Group, a large agency from Frankfurt am Main which handles numerous companies in the automotive sector, and is especially active in the field of customer satisfaction management (CSM). There is also a partnership with the company Social Communication Center (SCC). This company is active in the area of social media management. With the aid of the technical support of Social Communication Center, Cogia was able to successfully implement the integration of the engagement module with Web-Observer 3.0. With a view to reinforcing Cogia’s presence in the high growth area of internal and external security, a strategic alliance is being constructed with two leading consultancy and software companies in these markets. The 100 or so clients of Cogia or MeMo News are currently, but not exclusively, from the automotive industry, such as VW and BMW, in the pharmaceuticals sector such as Basilea, in the fashion industry such as the Italian fashion brand Diesel, and non-governmental organization (NGOs) e.g. Greenpeace. Our largest Web Observer 3.0 client group is currently the automotive sector, it is primarily small and medium-sized enterprises (SMES) that are interested in the product MeMo News. Cogia sees itself as a full service provider, but it also offers specific technology solutions. In addition to companies, authorities and associations, market researchers also form a target client group. This includes agencies which are already embedded in companies with their services and which, by means of use of Web Observer as a white-label product, maintain the possibility of extending their scope of activities on social media. The automotive sector (manufacturers, suppliers and dealerships), the financial sector (in particular financial services) and the security sector form focus markets for Cogia and MeMo News. There is also a further focus on public authorities and non-governmental organizations (NGOs). In general, the market volume for web and social media monitoring services has increased significantly in recent years because the social networks have become an established channels of communication for companies, and because they are also used increasingly by public authorities and are becoming increasingly important for marketing purposes. In return, companies and agencies are increasingly coming to the realization that rising marketing expenditure must be accompanied by effective instruments for success monitoring, by tools in the area of social media monitoring and social web analysis. In this way, companies and agencies achieve a greater degree of data quality, which in turn allows the better control of campaigns. Marketing personnel increasingly confirm that social media monitoring takes high priority. A good 52% of those surveyed in a recent study explain this as an important task in their companies. It is against this background that the English consulting company Ideya predicts a global market volume for 2019 of $2.5bn. For the entire social media analytics market (including all platforms and tools for statistical data analysis), the market research company MarketsandMarkets expects a growth of $1.6bn in 2015 to $5.4bn in 2020, with an annual growth rate of 27.6%. According to the company, the main growth drivers are the increasing number of social media users, a greater focus on market and competitor analyzes and increased expenditure on data analysis tools. The monetary assessments of the companies operating in this area also offer an indication of the growing importance of this market. In a total of 6 rounds, Brandwatch, currently the market leader, has secured $65m in investor funding, based on a turnover estimated to amount to $27m for 2015. The M&A activities are also striking. A company such as Radian6 was taken over by Salesforces for $340m based on a turnover of approximately $35 million. In 2015, a total of 32 acquisitions were recorded. All the figures thus indicate that web and social media monitoring and analysis is a strategically important and rapidly growing market. What Is the Current Status and What Will Happen Next? Cogia and MeMo news have a solid client base in the fields of media monitoring, web and social media monitoring and competitor monitoring. BMW, for example, is convinced by the quality of the Cogia solutions and has this September, following a rigorous international selection process, listed Cogia as its worldwide "preferred supplier" for customer satisfaction analyzes. The most recent step concerns the strengthening of Cogia as a full service provider and focuses on offering SMEs a complete integrated solution consisting of technical and editorial services under the MeMo News brand "Social Media Management". Provision is being made for internationalization, as Germany is a much sought-after market due to its size and economic strength. For this reason, we are currently carrying out first test positions in Italy. We are constructing a monitoring system for a large news provider and we are preparing a special application in the security sector. Reactions from interested customers in Asia and the Gulf states also show the great market potential of Cogia solutions in international markets. A prerequisite for a successful expansion is the expansion of the sales partner support and marketing teams that is planned for 2017. In the coming year, product development will be focused on the expansion and optimization of our processes in the field of "Machine Learning", especially in regard to tonality analysis (evaluation of the mood of contributions) and the identification of emotions. In order to expand our categorization procedure, we will also integrate ontologies (representations of concepts and the relationships and hierarchies existing between them) into Web Observer. Another matter on the agenda will be the geo-referencing of comments or contributions, that is their linking with geo-data and the visualization of these data on a map which can be zoomed into right up to street level. These will be complemented by a cluster or network analysis that shows and visualizes the links between contributions. It is also planned to introduce new procedures and modules in the field of “Predictive Analytics”. This involves generating models based on the data in the Cogia monitoring systems, which will allow predictions to be made with regard to how a situation, a mood, or a trend will develop in the near future. The stronger linking of Cogia solutions with internal company customer relationship management (CRM / maintenance of customer relations) processes via business intelligence up to the social networks, will also form a focus for development. How Will You Use the Crowdfunding Capital? 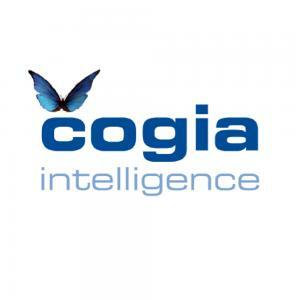 Cogia will expand its sales staff and partner management, in order to acquire further large customers and to strengthen our sales activities for the acquisition of partner agencies. Cogia will also invest in marketing measures. This will not only include SEO, SEM, PR and branding activities. It is also planned to increase visibility by means of increased appearances at trade fairs and conventions. We also plan to create a new user interface for MeMo news which is aligned to current design standards. Furthermore, we are also planning to develop an app for smartphones and tablets, as mobile applications are increasingly in demand. Cogia will also promote intensive product development progress in order to expand the technological advantage and to further increase the benefits to the client. This will require an expansion of human resources in research & development and in editorial management, with a view to implementing the planned innovations and developments more quickly. Since 2012, FlyInvest AG and others have numbered among the investors. EUR 50,000 was paid out as a subordinated loan, with the option to convert the total investment into shares at a valuation of EUR 2m. The federal state of Hesse, via the Guarantee Bank of Hessen, has supported Cogia with a guarantee of EUR 250,000. One of our business angels is Andreas Typaldos from New York. He was CEO of Computron, a company whichnpositioned an ERP solution specialized for the financial sector. He executed the IPO (Initial Public Offering) of Computron on the Nasdaq with a capitalization of US$ 800m. Furthermore, Mr. Typaldos supports us with his network and Know-How in the area of management. Please register in order to see the complete profile of Cogia.